Companies that join the Tanger Automotive City platform benefit from many advantages: 0% corporate tax for five years and only 8.75% for the following 20 years; exemption of VAT, customs duties and other local taxes; simplified currency transactions and customs procedures; state subsidies, etc. TAC enjoys free zone status for its industrial, logistics and service activities. With the aim of encouraging foreign investment, the state of Morocco has set up subsidies, up to 15% (Hassan II fund) and 30% for the entire investment (industrial development fund). To find out the eligibility conditions for the Hassan II Fund for economic and social development, visit the website of the Moroccan Department for Industry, Trade, Investment and the Digital Economy. 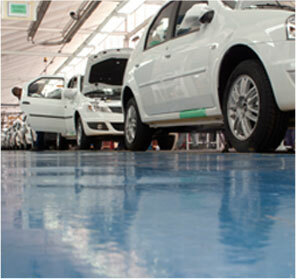 Tanger Automotive City offers exceptional competitive advantages. The TAC business park is one of the most powerful economic clusters in the Mediterranean via its integration in global logistics, trade and industrial flows.